Whether Neanderthals had the same cognitive abilities as fully modern humans has long been a matter of debate with many suggesting our species displayed more mental prowess, one area where Neanderthals were considered lacking was in the production of cave art. New findings from cave sites in Spain suggest that Neanderthals had nothing to envy in respect to their close cousins, our direct ancestors. Archaeological research across Europe has convincingly established that the ancestors of modern Europeans reached the continent around 45,000 years ago, this date not only matched fossils and tools found but also coincided with the earliest examples of cave art. Despite definitive evidence of a lengthy presence for Neanderthals across Europe cave art seemed to appear only after modern humans arrived. 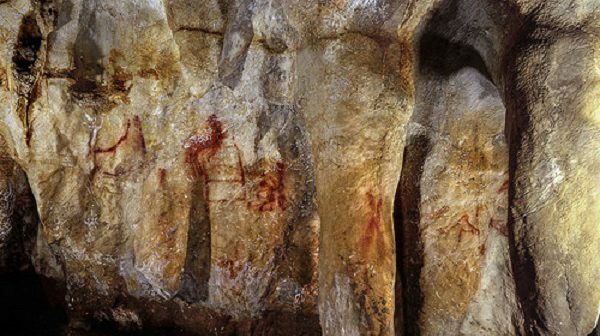 In newly released studies three cave sites, La Pasiega in north-eastern Spain, Maltravieso in western Spain and Ardales in southern Spain, have produced new evidence which pushes back the date for complex art to at least 65,000 years ago. These three sites offer a number of paintings in red or black, incorporating animals, dots and geometric patterns alongside hand stencils, handprints and engraved iconography. “Our dating results show that [some of]the cave art at these three sites in Spain is much older than previously thought,” says team member Alistair Pike from the University of Southampton. “With an age in excess of 64,000 years it predates the earliest traces of modern humans in Europe by more than 20,000 years. The logical conclusion is that Neanderthals are the most likely candidates for having painted the images, and although it remains possible that another sub-species was responsible for the work, such as archaic Homo sapiens, there is no clear evidence for their presence in Europe at the time. 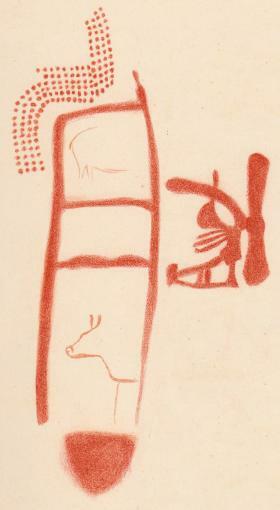 A drawing of the art shows animals and other symbols around the ladder shape. Dirk Hoffmann, a researcher at the Max Planck Institute for Evolutionary Anthropology was able to date the art only due to the fact that the radioactive element uranium dissolves in water, but the element thorium doesn’t. When water soaks through soils into a cave uranium is carried with it and then gets trapped in mineral deposits, it then radioactively decays at a predictable rate becoming thorium. Measuring the relative amounts of uranium and thorium in minerals can reveal their ages and provide a minimum date for any paintings beneath these deposits. 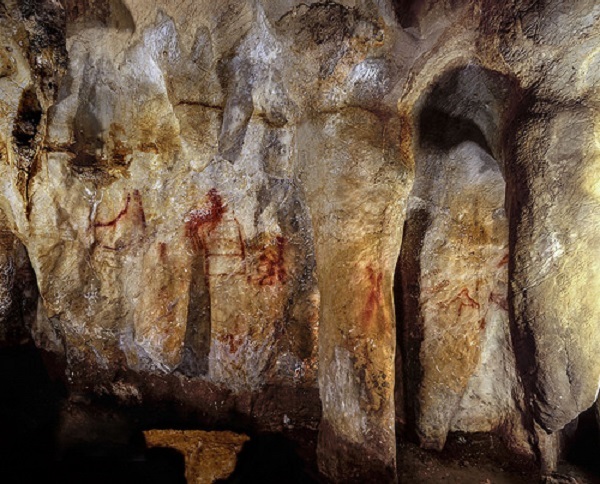 The three Spanish caves with paintings were found to have mineral crusts overlying the images that were at least 64,800 years old, although this is the minimum date for the art we must consider that it could be considerably older. This is without a doubt the oldest directly dates art in Europe and close in age to the oldest examples on the planet. Results of a second study were announced to the media at the same time, researchers had determined the age of an archaeological cache at Cueva de los Aviones, a coastal cave in southeastern Spain. Among the artefacts examined were perforated seashells, red and yellow compounds for painting along with shell containers with mixed pigments. The same Uranium-Thorium dating method was applied and revealed an incredibly early date, 115,000 years before present day. Consider that the very oldest signs of such artefacts in Africa are no older than 92,000 years of age, perhaps considerably younger. With the revelation that both Neanderthals and modern humans had an equal ability to produce rock art, as well as other discoveries showing near equality in tool use, ingenuity, ritual behaviour and genes associated with speech, some researchers are calling into question whether Neanderthals were truly a distinct species. There has long been a divide over whether Neanderthals might not properly be considered a sub-species of Homo sapiens and this new evidence supports the argument that they were an isolated subgroup of our own species. We certainly seemed to have interbred successfully with them which traditionally confirms membership of a single species. A worker takes measurements of the stone rings inside Bruniquel Cave. 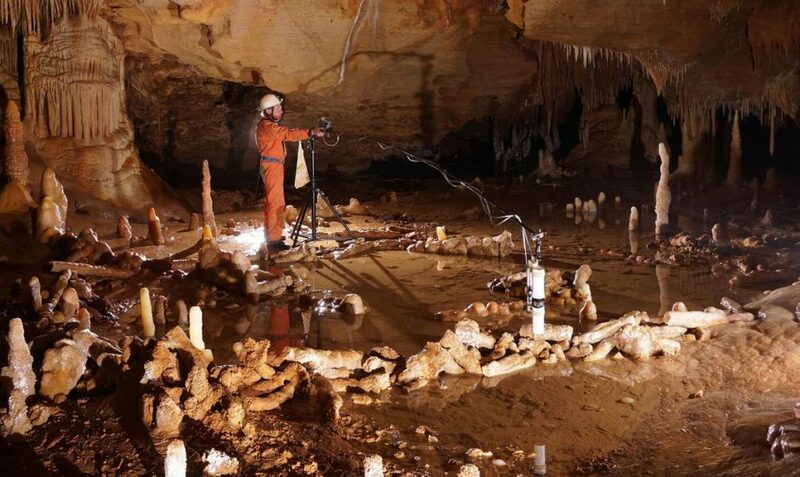 The new studies build on evidence for complex ritual artistic creations among Neanderthals previously highlighted by the discovery of a 176,000-year-old circle created from broken stalagmites deep within the Bruniquel Cave, located in France. Most scientists had already accepted that the Bruniquel Cave stone circles had been composed by members of the local Neanderthal populations. It has to be understood that this art may yet be linked to a ‘ghost population’ missing from the known record in Europe. The respected palaeoanthropologist, Michael Petraglia, has urged other to “…remember that the evidence that the art was produced by Neanderthals is circumstantial and not direct”. 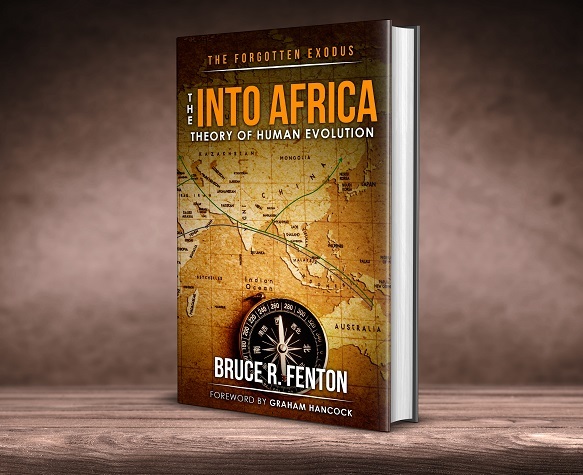 We know that early modern humans reached the Levant and even China, there is some reason to suspect that they would have also moved through Europe at one time or another in the remote past.